The Withings Move is an affordable analog watch with fitness tracking capabilities built-in. With it, you'll be able to track calories, steps, exercise, and even sleep, and it'll last 18-months on a single coin battery. 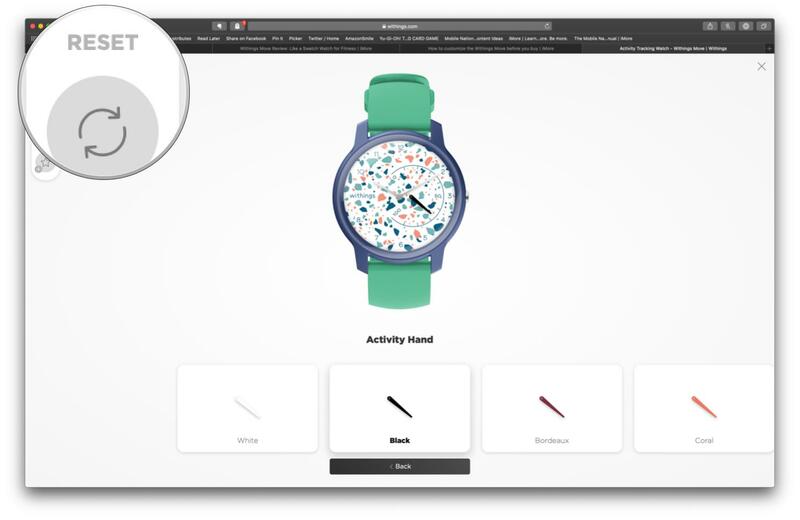 While you could buy it in one of the five preset color options, you could customize it on their website to create a truly unique Withings Move that suits your personal tastes. Go to the Withings Move website on your desktop or mobile browser. Select the component of the Withings Move that you want to customize: Dial, Case, Activity Hand, and Wristband. There are nine Dial options, four Case colors, 10 Activity Hand colors, and eight Wristbands. Once you pick an option for each component, click on Back to go back and select another part to customize. Repeat this process until you're satisfied with your choice for each individual component. Click on Ideas in the top left corner to get a randomly generated customization option or choose from a preset. Click on Save to save the current customization so that you can just come back to it later. Click on Reset to clear out all changes and start over from the beginning. Once you're satisfied with your custom creation, click on the Finish button in the customization view. At the moment, custom Withings Move can only be bought in Europe. If you're in the U.S., you can input your email address to get a notification when custom Withings Moves can be purchased. Custom Withings Move should be available sometime in May. While the Withings Move starts at $70, some custom components may raise the price slightly. When you want an affordable and lightweight watch that tracks your activity, the Withings Move is a good option. The Withings Move is a lightweight analog watch that also has seamless fitness activity tracking built in. You can keep count of your calories, steps, exercise, and even sleep in this stylish and minimalistic watch. It also lasts for 18-months on a single coin battery. We like the Withings Move because it's a simple analog watch that's stylish and minimal, while also giving us the basic functions of a fitness tracker without being overtly obvious. And having a whopping 18-month battery life? That's unheard of with most fitness trackers! 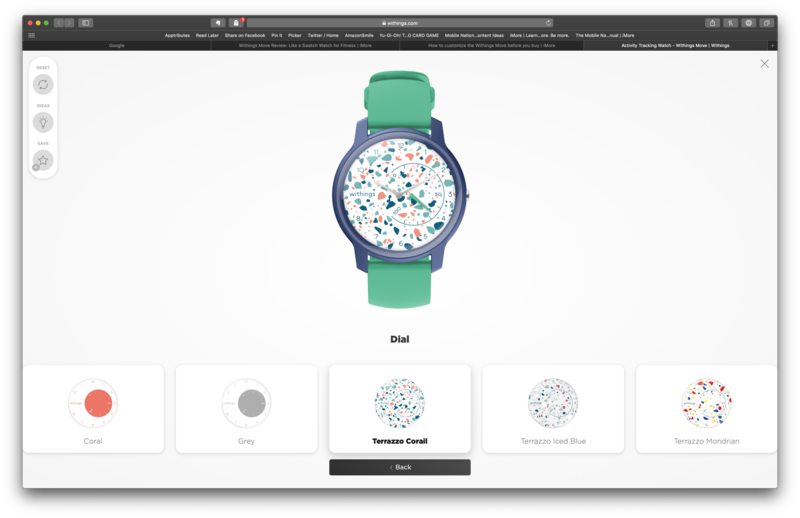 And with all of these cool customization options on the Withings website, there is definitely a Withings Move for everyone. If you want to accessorize your Withings Move even further, make sure to check out some band accessories for it. Withings has a lot of different wristband options available for all of their watches. The Move is compatible with Steel and Steel HR bands, such as the classy leather wristband option. There are also more third-party options out there (make sure it's 18mm in width).